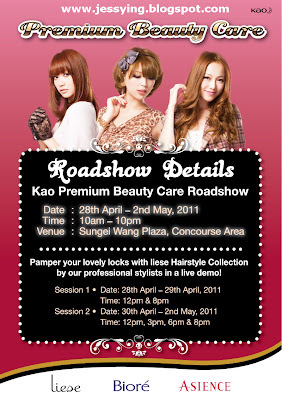 KAO Malaysia would like to invite all Malaysians to join them at Sg Wang Plaza from 28 April till 2 May 2011, where they will be showcasing three of the premium beauty care ranges – Liese, Bioré & Asience. Visitors will be able to get a FREE hair check as well as hair style consultation. 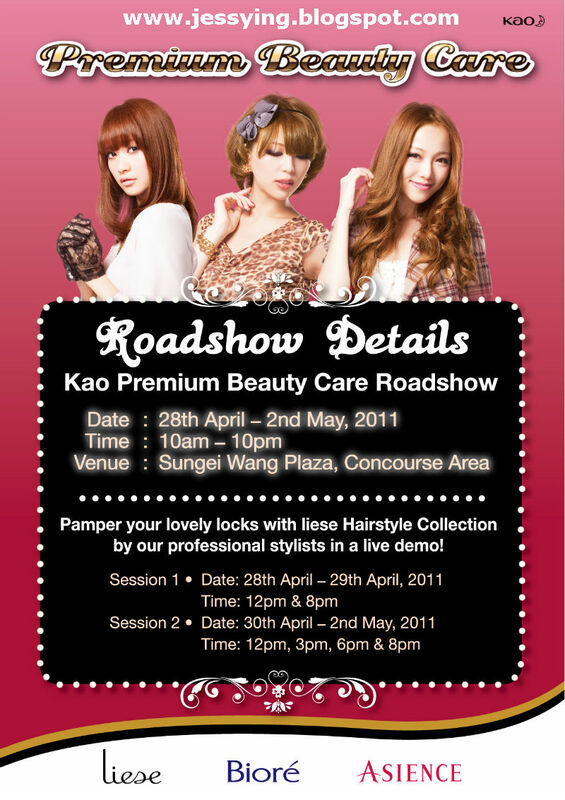 There will be a showcasing of Liese demonstration by local hairstylist. 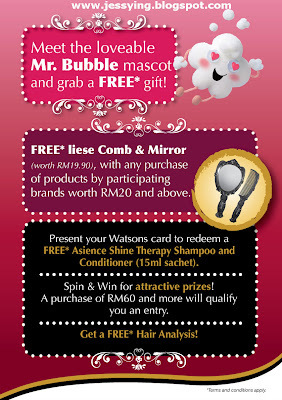 Liese Mr.Bubble Mascot will be there to meet up with everyone and give away Liese Bubble Key Chain. 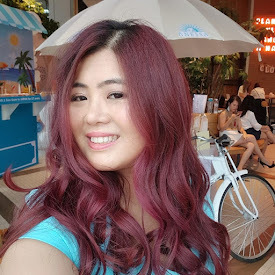 Free trial on all KAO easy-to-use skincare and hair care products are available to all shoppers, while they can experience and do-it-yourself before purchasing with KAO professionals hair stylists and product specialist stand by for consultation. 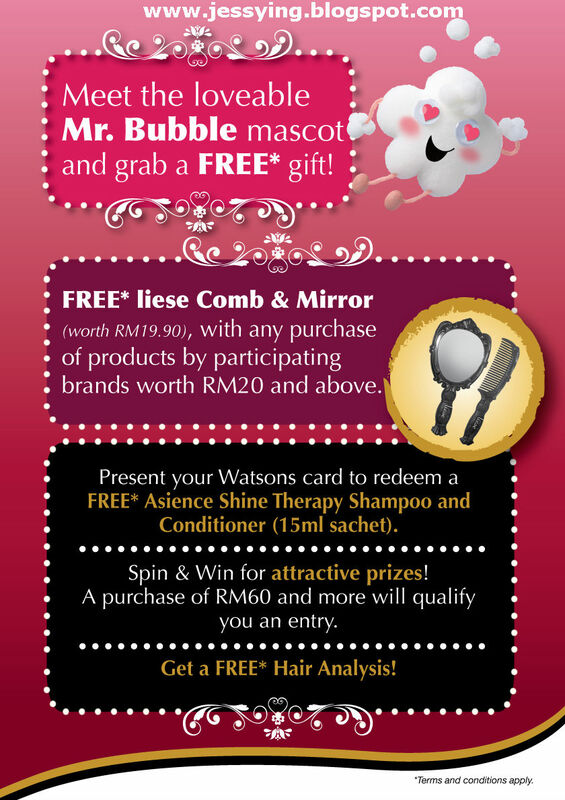 Watsons’ members will stand a chance to win prizes by simply presenting their membership card while earning extra 200 Watsons points! I think I'm going to check this out, if you see me there, do say Hi ya !